Can anyone help me please - I've searched high and low but can't seem to find out what this flower is. 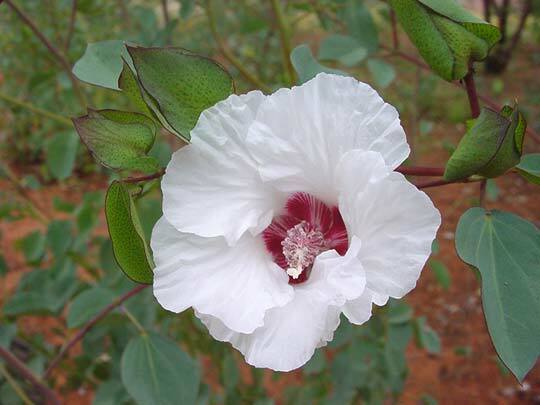 We think it might be a Sturts Desert Rose, Geraldine - otherwise known as a Gossypium sturtianum. On first sight it looked very much like an Alcea rosea but the foliage was not right for that flower.